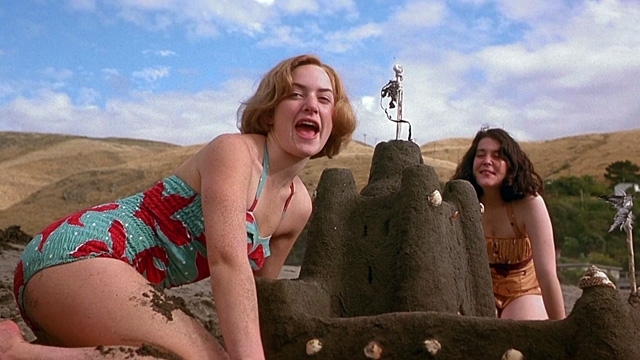 Today's Fashion and Film Friday posts is one of my favorites, Heavenly Creatures. 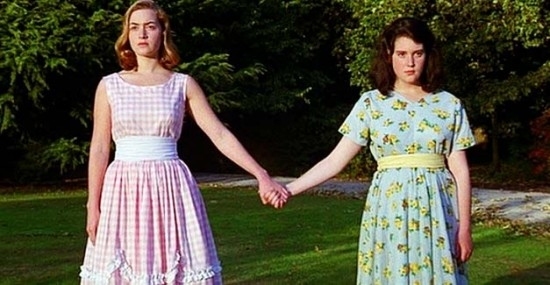 Kate Winslet and Melanie Lynsky star in their first movie roles as Juliet Hulme and Pauline Parker. Based on a true story, Pauline and Juliet are very imaginative best friends who develop a dangerous obsession with each other. 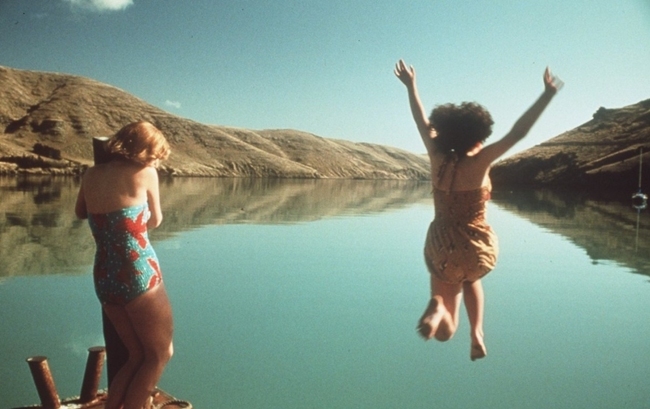 After the girls families try to intervene, Juliet and Pauline plot to commit a crime that stunned 1950's new Zealand. My beloved Ngila Dickinson worked as the costume designer for Heavenly Creatures. If for some crazy reason you are unfamiliar with Ms. Dickinson: Goddess of Costume Design, she created costumes for the Lord of the Rings Trilogy, The Illusionist, The Last Samurai, Xena Warrior Princess, and this year's up-coming bible epic, Kingdom Come. You may notice some of her Lord of the Ring's flair in Juliet's dress-up gown pictured here. Oh, Nglia, I love you! Oh, back to my movie review. That was a great film! I feel the need to re-watch it now.